A former Vice-President, Abubakar Atiku’s son, Aminu, on Thursday began the battle to take ustody of his children after taking ex-wife, Fatima Bolori, to an Igbosere High Court in Lagos. Aminu asked the court to upturn a magistrates’ court’s decision which awarded the custody of his two children to Fatima as well as a N250,000 monthly upkeep explaining that the lower court disregarded his constitutional right of fair hearing before granting judgment in Fatima’s favour. 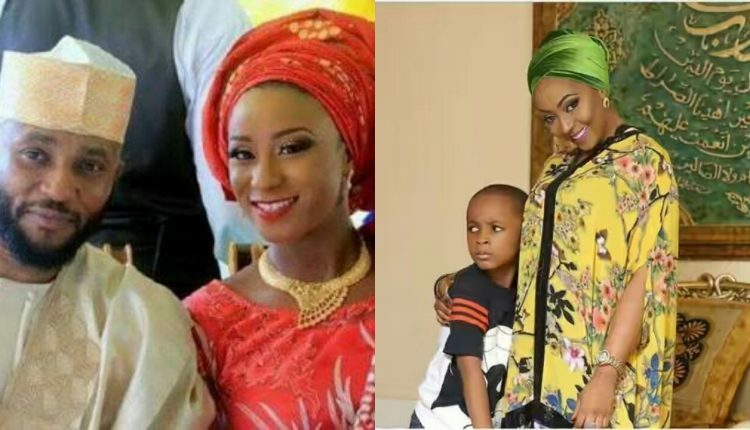 Magistrate Kikelomo Ayeye sitting in Tinubu on Lagos Island had awarded full custody of the ex-couple’s daughter, Ameera, 11, and son, Aamir, 7, to Fatima. However, Aminu, through his counsel, Oyinkan Badejo, filed an application to the high court where told Justice Kazeem Alogba presided on the issue as he seek to appeal the lower court’s judgment and another application for a stay of further execution of its terms. Badejo said according to the lower court’s order, Aminu would pay his ex-wife N250, 000 monthly for the upkeep of the children, beginning from January. She also said that Magistrate Ayeye ordered Aminu to carry out medical insurance on each child among others. However further hearing was adjourned until May 17 and June 14.